AMWmotorsport offer a wide range of services, from general repair and maintenance, to specialist tuning and competition preparation. As well as what is listed on this page, check our more in depth service descriptions. By using the main menu above, select the appropriate service from the drop down menu under “services”. The services we offer range from simple to outrageous. From an oil and filter change to a one off engine conversion. 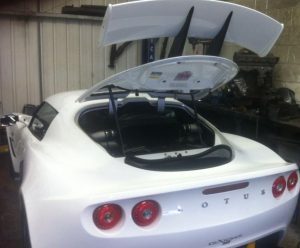 We strive to make all our conversions, no matter what vehicle, look factory fitted and use all the factory functions. If you’re after more power all our rebuilds are to a high standard. Those for general road use are built to the same thoroughness as those for race and high power drag cars. Engines aren’t our only specialty. We can also do gearbox rebuilds with custom ratio’s, one off brake fitting fabrications, matching upgraded calipers to discs and advising you on the correct pads, rotor size and caliper piston size for your specific application. We can offer a suspension setup service, where we can setup coilover suspension systems or even just fit a set of lowering springs. After prepping track and rally cars our suspension experience is second to none. 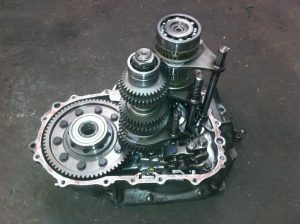 Our gearbox rebuild service allows for uprated components and specific ratio choices to suit your application. We are able to customise interiors and fit electronic accessories, such as In Car Entertainment and satellite navigation systems to work with extra monitors and camera detection systems. 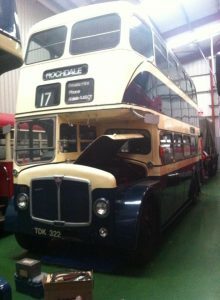 Our routine maintenance on this 1959 AEC regent double decker bus is very thorough and we push our engineering skills to save parts which are hard to find. It’s not the easiest work to do but it always seems to put a smile on our faces.